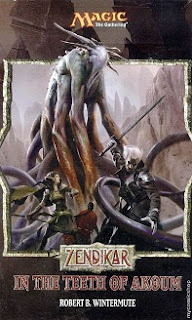 Our heroes are sandwiched between one Eldrazi group in front and one behind. They were last seen running towards a fallen palace. Will they find aid or take shelter? Nope! On the group of three runs, as well as Smara and her goblins. The continue to run towards and past the fallen palace which seems to contain no survivors after the fall. At one point later on, Nissa suddenly stops when she notices tracks she's never seen before, which includes deep divots and deep knuckle grooves. But before they have much time to examine them, the sound of drums from the group of Eldrazi spawn behind them forces them to move on. "They have become musical," Sorin said. "Perhaps I will sing them a song of my own when we meet." They run through the grasslands and into the barren foothills. They come across one Faduun boulder, and then another. They're large stone faces, large version of the pebbles that they discovered earlier. At the second one Nissa decides to stick her arm into the eye socket of one of the boulders despite Anowon's warning and she pulls out a wad of cloth. Anowon just shrugs at her and then points out the script on the bottom of the chin. He tells her that it's a script older than Eldrazi. And while Eldrazi sites can be seen all over Zendikar, this script is only found on Ondu and nobody knows why. 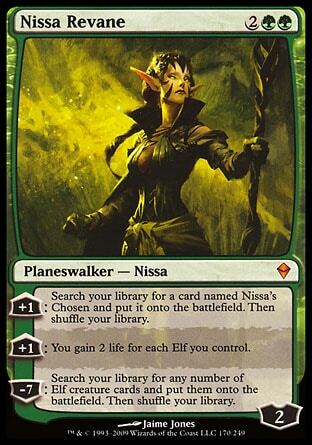 "I know why," Nissa said. At least I think I do, she thought. "They are the first Eldrazi," she said. Nissa was not sure why she knew it, but having said it, she knew it to be true. Anowon nodded once. "So it is said by some," he said. "But how can they not be there. How can the plane have no sign of their writing or design one year, and then they are present the next? Cultures take time to develop." "Perhaps they are from somewhere... else." Nissa felt strange saying that. But Sorin turned his eyes to her. "A good deduction, elf," he said. "have you any proof?" Nissa's pulse jumped. "What proof could there be? she said, backtracking. "Such an idea is impossible, naturally." 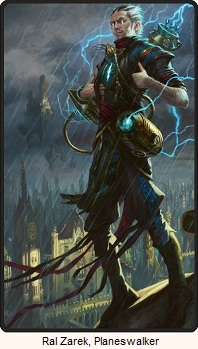 Sorin looked at her for longer than was normal. "Naturally," he said. Nissa changes the subject and says they should get moving. They travel the rest of the day, and when night comes they try to take shelter from the fierce wind by camping by a large boulder. The conditions won't allow for a fire, so Anowon uses one of his spell teeth to emit heat and light. And then he points to the boulder, which is actually a Faduun, and goes into his theories. There are three types of brood lineage. One type with multiple eyes covering their head, one type that is all tentacles and can sometimes fly, and one type with bony skulls. He doesn't think it is coincidence that the merfolk happen to have three gods, while the kor do not. It is known that the merfolk's stories aren't as old as the kor's... the Eldrazi must have appeared around that time. Nissa asks if the Eldrazi themselves have gods, if the Eldrazi are evil, and asks about the holes that they dig. 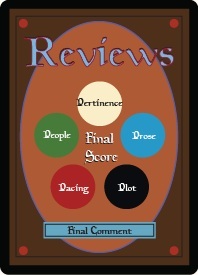 Anowon has no idea if they have gods, but he believes they're neither good nor evil. They just consume. It's what they do. What they devour is pure mana, so those holes they dig must have something to do with that. Nissa wakes once during the night. She hears a slurping sound, and sees a hunched figure over one of the goblins. She disgusted but knows that's just what vampires do. In the morning not just one, but two of the goblins are gone. Later on, Anowon speaks to Nissa about Smara and her stone. It's clear that her stone has a lot of power and he also listens to her chanting when she thinks no one can hear. She switches through several languages, some of which he's never heard before and he's fairly certain that he's heard and seen every language on Zendikar. He tells her he suspects that she's a witch vessel. She's a being possessed by a ghost, particularly a ghost of an Eldrazi. Nissa tells him if that's the case, she should be killed. Anowon agrees that the Eldrazi must be stoopped, but maybe not by killing, but by casting them off of Zendikar. The old stories make it clear that they're not from here. They should be sent back to where they came from. What was the point of the wad of cloth, and what was the point of the strange tracks! Must add those two things to the list of Unresolved Plot Threads, which currently includes only the strange invisible presence. 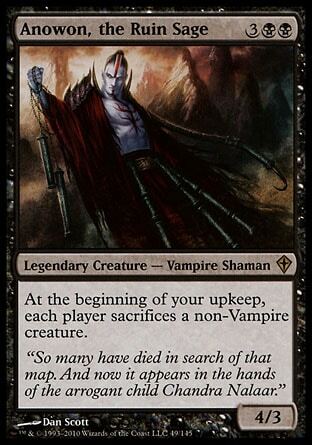 Just like how the plot thread about Nissa not knowing Sorin is a vampire, trying to make us wonder if Sorin knows Nissa is or isn't a planeswalker similarly needs to end. It boring. It adds nothing to the story. 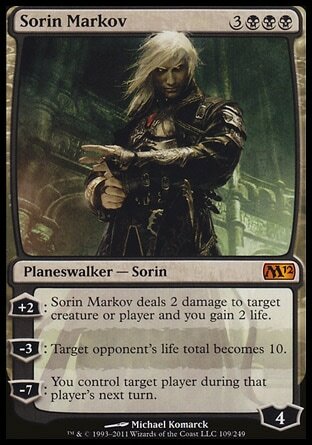 What does it matter if Sorin knows or not? It doesn't change what their goal is, and it doesn't create a moment of drama or enlightenment or other significant moment of character of growth. The story gains nothing by bringing this up over and over again.